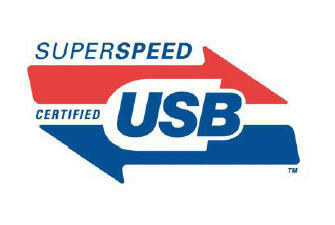 USB 3.0 has become one of the hottest topics in today’s PC industry and some do hope that it will replace its predecessor USB 2.0 as a new generation technology with its extremely high 5Gbps throughput for peripherals’ connectivity. Although the stated figure is only a theoretically maximum value and in reality there is no way to hit that due to overhead and design limitation. However, most of us do expect that it could probably able to achieve half of the theoretical value but seems that such expectation is still too high, at least for the initial products that being planned to be released by end of 2009 or early of 2010. According to USB-IF personnel that being interviewed by TG Daily, the initial USB 3,0 prototype being demoed at CES 2009 event held in Las Vegas is only capable to achieve maximum of 1320Mbps, which is merely a quarter of what being promised earlier by USB 3.0 specifications. To be more precise, the read operation of the USB 3.0 can only achieve 1320 Mbps while the write operation stays around 1000Mbps. This could be understandable since the demo product is a very early stage prototype model but the USB-IF personnel did emphasize that even there should be some bandwidth improvements with design optimization before the end commercial products being made available by end of 2009 time frame, but we shouldn’t be too optimistic to be able to enjoy 10 times faster transmission speed as compared to existing USB 2.0 specifications. This scenario is similar to when we started to adopt USB 2.0 since few years back that will have to go through evolution cycle with significant design effort and resource investment before a much more stable and mature end product can be realized.